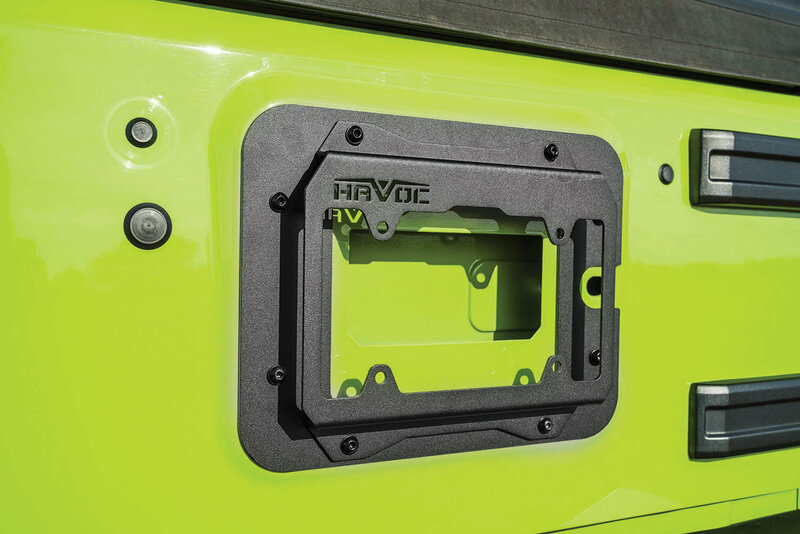 Install a set of HD corners on you Jeep Wrangler JK and have to remove your OE license plate mount. 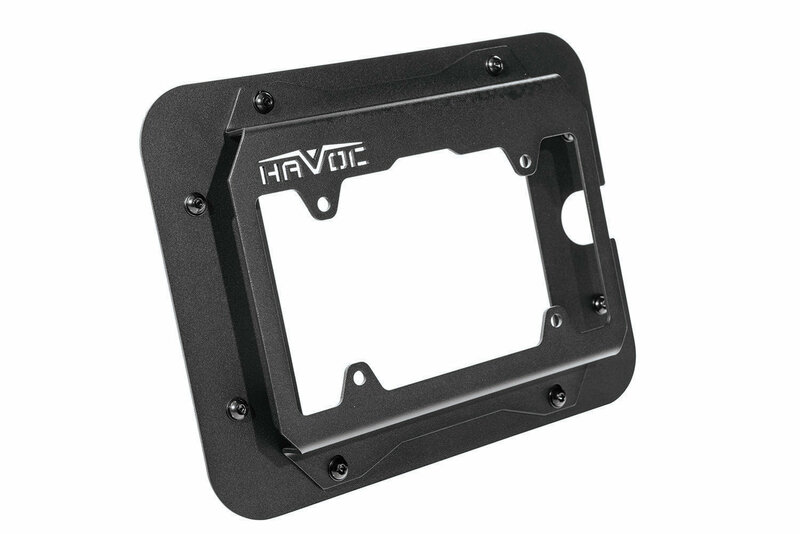 Havoc Offroad offers the Eliminator Tailgate Cover Plate with License Plate Mount to solve this problem. 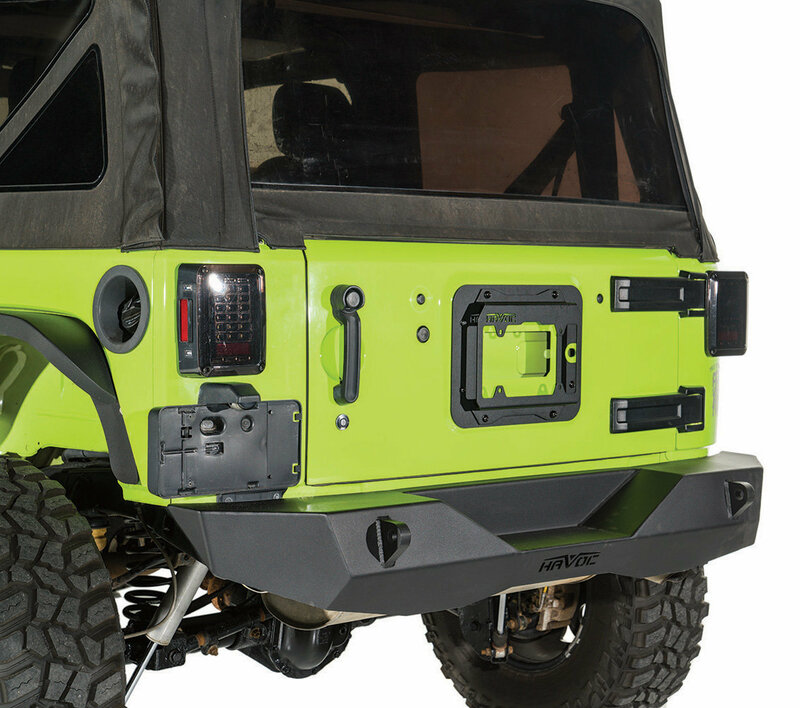 Mounting offset over the OE raised vent area allowing your Jeep to vent correctly. CNC laser cut and brake formed 1/8 inch aluminum. Includes stainless steel mounting hardware. Available in two finishes. License Plate Relocation: Prominently mount your license plate on the tailgate for a clean look. Be sure to get a new 3rd brake light and license plate light to keep your Jeep legal. 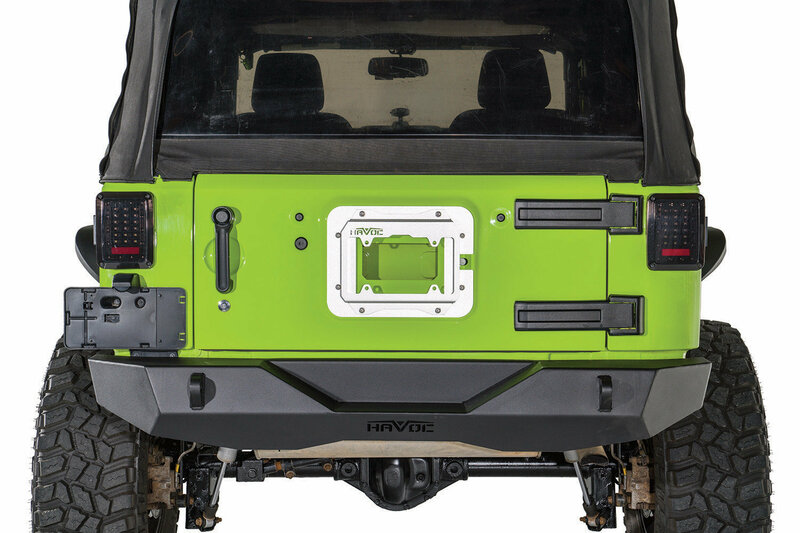 Easy Installation: Mounting to the original spare tire holes in the tailgate providing a quick installation. No drilling required and include all new stainless steel hardware. 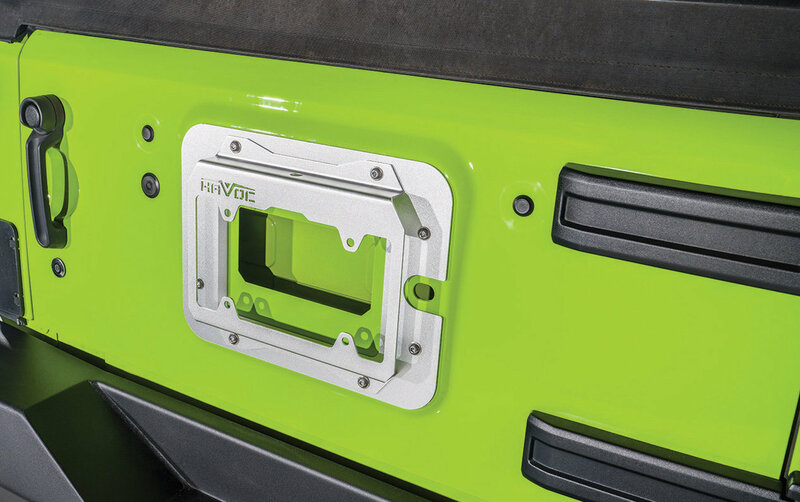 Bold Style: Covering the tailgate vent with the spare removes in style. 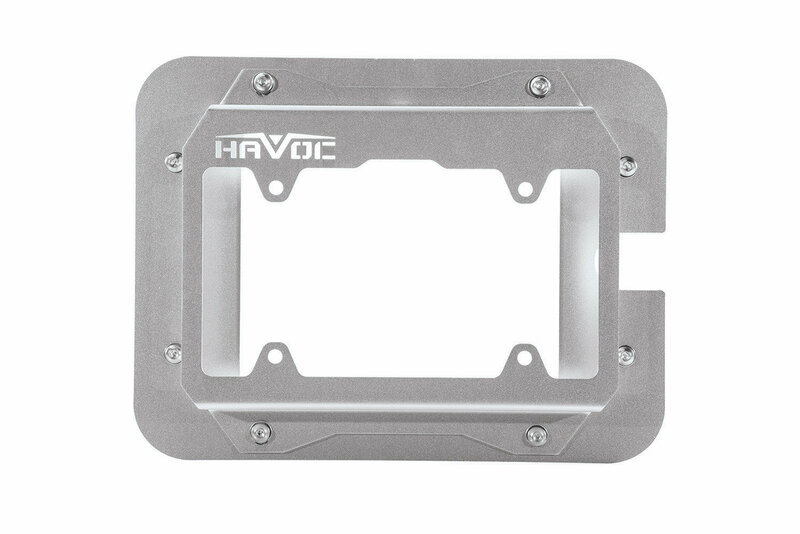 The Havoc vent cover overlay allows for proper air clearance with a bold Havoc logo. Allowing you to see your paint color through the logo for a custom look.